If you submit comments, suggestions, ideas, notes, or other information to Afrima through this Site or in response to solicitations on this Site (“Feedback”), you automatically assign to Afrima all right, title and interest in and to your Feedback. You acknowledge that your Feedback shall be deemed and shall remain the property of Afrima, and you agree that Afrima is entitled to unrestricted use of your Feedback for any purpose whatsoever (commercial or otherwise) without compensation to you, including, without limitation, its publication or placement on this Site. 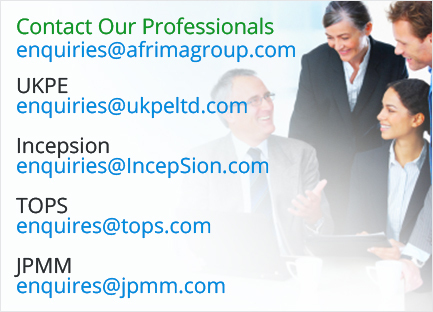 Afrima will treat any Feedback you provide as non-confidential and non-proprietary. You understand and acknowledge that Afrima has both internal resources and external resources which may have developed or may in the future develop ideas identical to or similar to your Feedback and that Afrima is only willing to accept your Feedback on these terms. This Site and the Content are protected by copyright, trademark and other applicable Malaysia and international laws. Except for your personal, non-commercial use as authorized above, you may not modify, reproduce or distribute the design or layout of the Site or any Content available on or through the Site without our written permission. The trademarks, logos, and service marks (collectively, the “Trademarks”) displayed on this Site are registered and unregistered Trademarks of Afrima and its licensors. Nothing contained in this Site should be construed as granting, by implication, estoppel, or otherwise, any license or right in or to the Trademarks. Unauthorized use of any Trademark may be a violation of federal and state trademark laws. This Site may contain links to third-party websites. These links are provided for your convenience only. We have no control over third-party websites and we cannot be responsible for the content of such websites or the privacy practices of third parties. If you decide to access any of the third-party websites linked to this Site, you do so entirely at your own risk and subject to such websites’ terms and conditions and privacy policies. IN NO EVENT WILL INCEPSION, ITS LICENSORS OR CONTENT PROVIDERS BE LIABLE FOR DAMAGES OF ANY KIND, UNDER ANY LEGAL THEORY, ARISING OUT OF OR IN CONNECTION WITH YOUR USE, OR INABILITY TO USE, THIS SITE OR ANY CONTENT, INCLUDING ANY DIRECT, INDIRECT, SPECIAL, INCIDENTAL, CONSEQUENTIAL, EXEMPLARY OR PUNITIVE DAMAGES OF ANY KIND WHATSOEVER, WHETHER CAUSED BY TORT (INCLUDING NEGLIGENCE), BREACH OF CONTRACT OR OTHERWISE, EVEN IF FORESEEABLE. USE OF THIS SITE AND THE CONTENT IS AT YOUR SOLE RISK.